Chicago Cubs All-Star catcher Willson Contreras isn’t necessarily known for his power. The backstop does have some pop, but it’s not like he’s hit a ton of massive homers. That changed Friday afternoon against Tyler Skaggs and the Los Angeles Angels. Just check out this solo blast Contreras hit in the first inning. It went completely out of Wrigley Field and landed on Waveland. The homer ended up going 460 feet. 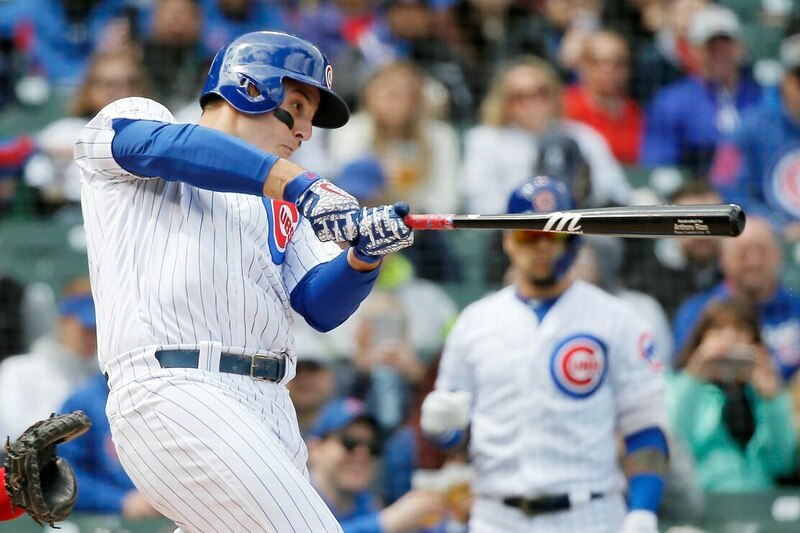 Not to be outdone, Anthony Rizzo blasted a 472-foot shot off Skaggs earlier in the inning. Despite struggling to a 4-8 start to the season, Chicago entered Friday’s action with the fourth-highest batting average in MLB. It also ranks in the top 10 homers. It looks like this weekend’s series will only help Chicago inch up in both of these statistics as well as the overall standings.